An explosive exposé that lays out the story behind the Steele Dossier, including Russia's decades-in-the-making political game to upend American democracy and the Trump administration's ties to Moscow. December 2016. Luke Harding, the Guardian reporter and former Moscow bureau chief, quietly meets former MI6 officer Christopher Steele in a London pub to discuss President-elect Donald Trump's Russia connections. A month later, Steele's now-famous dossier sparks what may be the biggest scandal of the modern era. 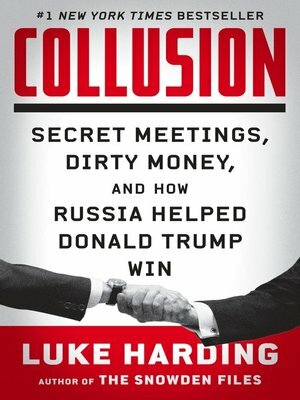 The names of the Americans involved are well-known—Paul Manafort, Michael Flynn, Jared Kushner, George Papadopoulos, Carter Page—but here Harding also shines a light on powerful Russian figures like Aras Agalarov, Natalia Veselnitskaya, and Sergey Kislyak, whose motivations and instructions may have been coming from the highest echelons of the Kremlin.